Deadlock NW London Fitting Service from North London Locksmiths Ltd.
Do you know how lucky you are to live in the, North West London? and...WHY?...You may ask? Because if you live in these areas you do not live to far away from the Locksmith Shop of North London Locksmiths Ltd. from where we offer a first class Deadlock NW London Fitting and Rim Lock Fitting, Service at fair prices. WE OFFER A FULL NO QUIBBLE GUARANTEE ON ALL LOCKS FITTED BY NORTH LONDON LOCKSMITHS LTD.
Where you will speak to a member of our friendly Locksmith team, not a call centre many miles away. The Number "ONE" Deadlock NW London Fitting Service of North London,North West London and the Enfield area. WHEN CALLING OUR TELEPHONE NUMBER 0208 800 6041 YOU WILL SPEAK TO A MEMBER OF STAFF, AT OUR OFFICE, NOT IN ANOTHER PART OF THE COUNTRY ......OR.....EVEN ABROAD. BEWARE OF THE COMPANIES WHO QUOTE A SMALL SERVICE CHARGE....THEN!! !....CHARGE UNREALISTIC PRICES FOR PARTS. 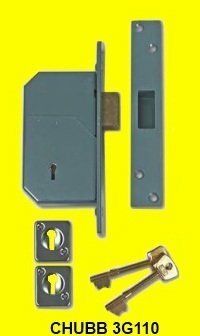 North London Locksmiths Ltd is an established Company, where our Locksmith Shop being based at the same premises at 79 Grand Parade, Green Lanes, London, N4 1DX. for more than 35 years, Which means we are not far from any area we cover. We are used by Insurance Companies, Local Councils, Police Forces and many other organisations...BUT!...We specialise in the HOME SECURITY business, where our Deadlock Fitting and Rim Lock Fitting as well as Window Lock Fitting are a priority to our Company for the protection of our customers homes. Being a small family run business we are a hands on Locksmith Company. Remember!! When our Company fit new locks, we offer a NO QUIBBLE GUARANTEE. 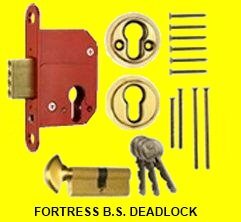 Our Deadlock NW London is your local, Insurance Police Approved Company to fit your locks. REMEBER!! We are shop based, not just a telephone office address. 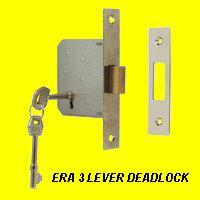 For our Deadlock NW London and Rim Lock Fitting Services. Many types and brands of locks supplied and fitted by our Company. Why use an established Master Locksmiths and police approved Company, such as North London Locksmiths Ltd.? Using an established registered Company, rather than just using a telephone number, without an address, which has been found in Yellow Pages or the Internet, means that you have redress if something goes wrong with any lock fitted. Remember! This is your Home you are securing, you need to be safe in the thought that you have picked the correct choice. 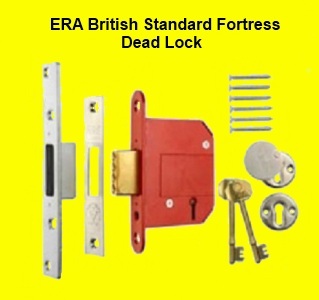 You may find that you will get a cheaper quote, because we are registered, we have to pay VAT and Taxes, but, are you one of the many who have called out a Locksmith to open a lock and then been charged extras added on, which was not quoted for, or they have drilled the lock and left you with no lock, because of an exorbitant price quoted for replacing it. Our Company has undertaken many lock replacements, where the so called Locksmith has drilled the lock and left it, where do you go? WE WILL ALWAYS REPLACE YOUR LOCK AT A FAIR PRICE. We are a registered, established, Company and have been trading for more than 30 years, with a shop base at 79 Grand Parade, Green Lanes, N4 1DX. and are also Company Members of The Master Locksmith Association. THE LOCKSMITH COMPANY WHO OFFER A NO QUIBBLE GUARANTEE ON ALL NEW LOCKS FITTED. Our fully qualified Carpenters, supply and fit all makes of Deadlocks, as well as Rim Locks, repairing damaged frames, replacing damaged locks and undertaking a full Lock Change Service, when keys have been lost or stolen, or even when moving to a new home. They also offer a full DOOR FITTING SERVICE. The Master Locksmiths of North London Locksmiths Ltd. as well as undertaking their Deadlock Fitting Services, also open locks, when keys are locked inside your home or have been lost or stolen. They will also change locks, if required. THROUGH OUR WEB SHOP KEYS, LOCKS, PADLOCKS WE ALSO SELL LOCKS AT DISCOUNTED PRICES AND SEND TO ANYWHERE IN THE U.K. AND EUROPE. On a mobile device and need to call us, click the link below. Our Carpenters and Locksmiths Deadlock NW London, offer a fast reliable emergency or non emergency Service. THIS IS WHY IF YOU LIVE IN ALL THE AREAS BELOW.....YOU ARE LUCKY ENOUGH TO LIVE IN THE AREAS NORTH LONDON LOCKSMITHS LTD. COVER. Areas covered by North London Locksmiths Ltd. for our Deadlock NW London Fitting Service.